Keeping the roads clear of snow is a big job in the City of Hamilton. But it becomes even nastier when motorists park their cars on snow routes during a storm or when home owners throw their snow on the street instead of on their lawns. 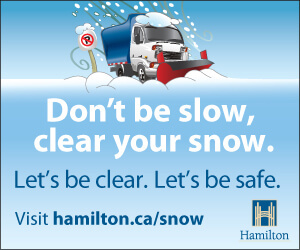 Educating residents about what to do when it snows is the goal of an annual digital and broadcast campaign by the City of Hamilton. 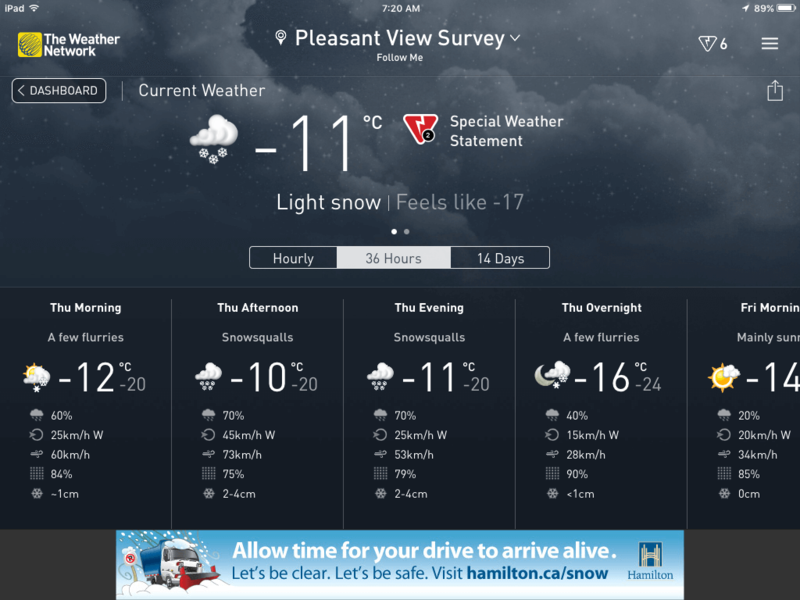 As a winter storm approaches, a series of ads created here at Pier 8 Group are deployed on local TV, the Weather Network app, and popular local websites like TheSpec.com. There are eight ads in total, each providing a tip to help motorists and residents cope with the snow. All the ads are created in several shapes and sizes to meet the specifications for each media channel. Typically this includes Leaderboard, Big Box, Skyscraper and Mobile ads. The ads are small and the user interactions brief, so we try to keep the message short and sweet. The visual component of the ad – a cartoon caricature of a snow plow – helps the viewer to quickly process the image and aids them in interpreting the message. 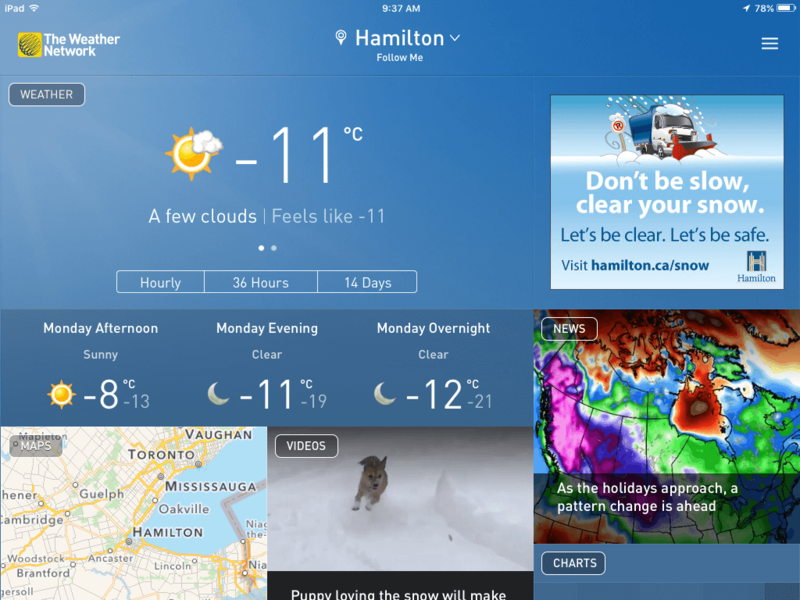 Since the ads are programmed to run only in the Hamilton weather forecast area, they only reach local residents. They are also timed to run just before, during and following snow events, which means they reach the right audience at just the right time. 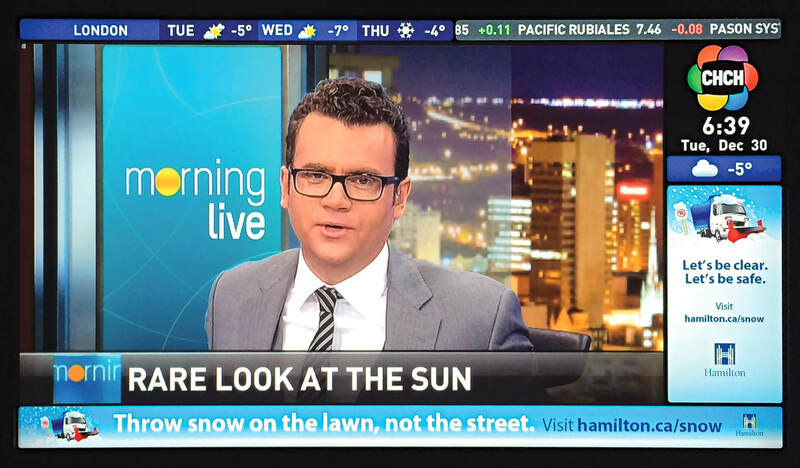 In addition to the Weather Network, we’ve created ads for CHCH television news and the Hamilton Spectator website, TheSpec.com. These local media channels are a perfect choice for reaching our target audience.